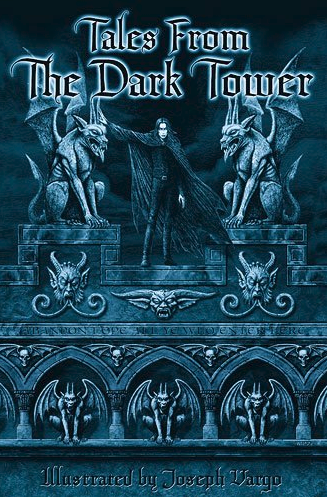 This year saw the release of Return To The Dark Tower, the final installment of the series of books inspired by Nox Arcana’s The Dark Tower. So how will I celebrate the end of the trilogy? By sending you to its start. Not only is James Pipik and Joseph Vargo’s “The Dark Tower” from the first book Tales From The Dark Tower, but it is also the very first story in it! Next on our terror tour is an infamous castle in the Carpathians owned by an even more infamous count, which is in the process of being taken over by Nazis. It’s a tale of evil vs. evil in “The Devil is Not Mocked” by Manly Wade Wellman. Eric Heisserer made quite the impression on the internet with his tale “The Dionaea House” and even the quickest glimpse through it will make you see why. Similarly, Benjamin A. Fouché spins tales set in a supernatural valley at Spookinite while Josh Parker’s “The House That Death Forgot” is only one of the many tales available at Please Help Me. What could possibly make a man afraid to venture into a certain room in his own château? Those who think Guy de Maupassant spoiled it by naming this story “A Ghost” couldn’t be more wrong. Speaking of television, our next two stories are quite famous for their small screen adaptations. Robert Barbour Johnson’s tale of strange creatures living under New York City in “Far Below” made for an interesting episode of Monsters and far too many people forget Richard Matheson’s “Nightmare at 20,000 Feet” was a short story before it was ever associated with The Twilight Zone. “Night Ride” tells of a young man’s passing by the cottage of a woman with mystical powers. Magic also plays a role in Hugh B. Cave’s “The Blade and The Claw.” While it is about a rented house in Haiti, there are no zombies in it. That would be far too normal compared to the events in this! This story, like many others being shared today, has mature content and reader discretion is advised. Special thanks to Monolith Graphics for use of the image!